Electronics Recycling - Electronics Destruction | Phoenix, AZ - e-Waste Drive this Saturday benefitting the Valley View Community Food Bank! e-Waste Drive this Saturday benefitting the Valley View Community Food Bank! 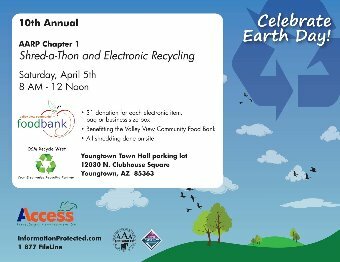 Join us this Satruday, April 5th, for a Shread-a-Thon and Electronic Recycling event with Access, the City of Youngtown and AARP Chapter 1 benefitting the Valley View Community Food Bank! The event is at the Youngtown Town Hall parking lot, 12030 N. Clubhouse Square, Youngtown, AZ 85363. $1 donation for every electronic item drop-off, or bag or box, benefits the Food Bank. 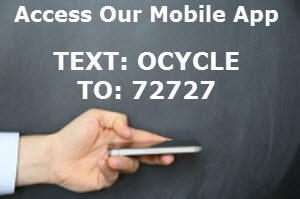 Help support your local community, while also helping to keep the environment clean and healthy. We look forward to seeing you there.